You are browsing the archive for occult. Occult in History as it pertains to religion and science, and the modern practical application of some rudimentary occult practices of magic. This course is offered to further the knowledge of magic; metaphysical and paranormal activities. 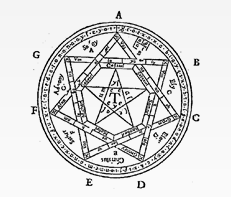 The study of some magical organizations such as hermetic orders, Wiccan covens or circles, esoteric societies, arcane colleges, and other groups which may utilize different terminology. Occult practices and paranormal magic; ”black,” “white,” and ”green” (Natural), druidic, witchcraft, sorcery, wizardry, necromancy, astrology, alchemy, Santeria, divination and fortune-telling, extra-sensory perception, practical mysticism, West African / Haitian / Louisiana Voodoo – Hoodoo, theurgy, spiritualism. A small fee for materials will be required for the practical applications portion of this course.